Something magical about this necklace design! This sterling silver necklace in a moon design has been hammered and highly polished. 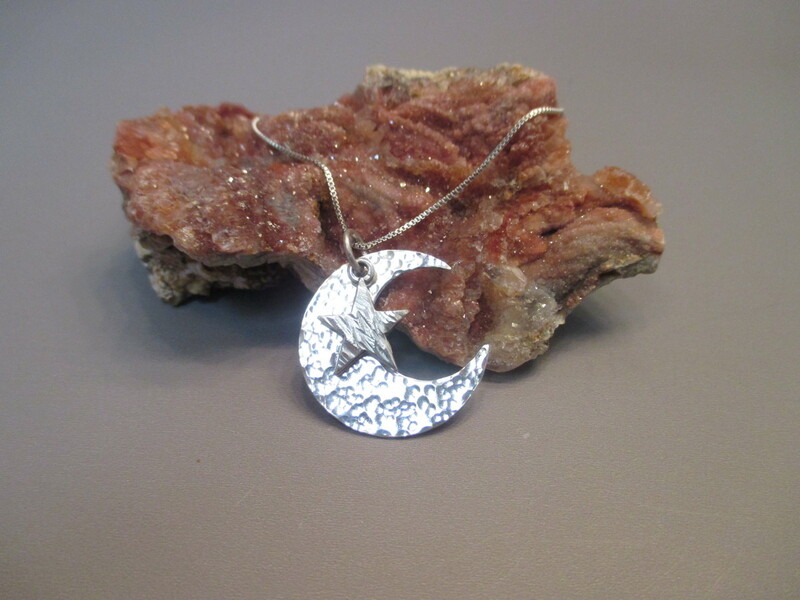 A sterling silver star is hammered with a texture and attached with the bail to the moon piece. It measures about 1" x 1". The pendant will come on a sterling silver chain.